A simple guide for understanding gold hallmarks, how to identify them and the methods for testing gold purity. One of the main uses for Gold is Gold Jewelry. 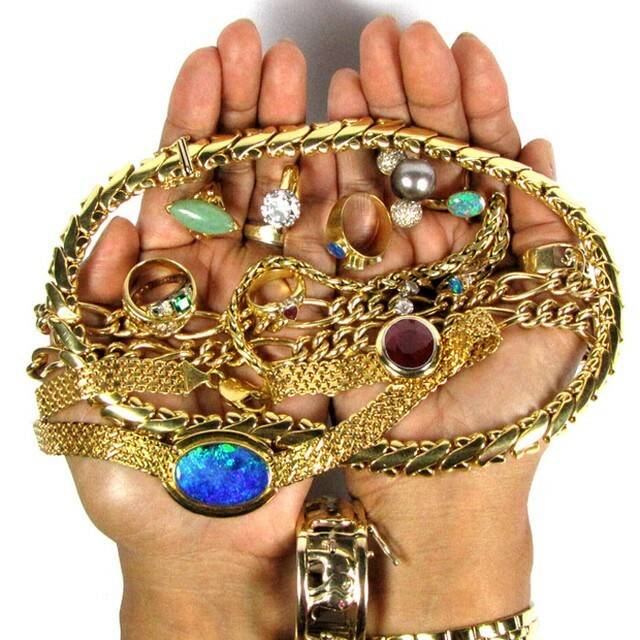 When buying a gold necklace, a pair of earrings, a bracelet or a ring you really need to look at the gold content in what your buying and think about what this jewelry will be used for. Many people are not aware that the gold content or that the pureness of the gold alters the softness or hardness of the metal. So it would be useful to determine how often you will be wearing your jewelry. Gold is a soft metal and can easily bend or be broken when in its most purest form. 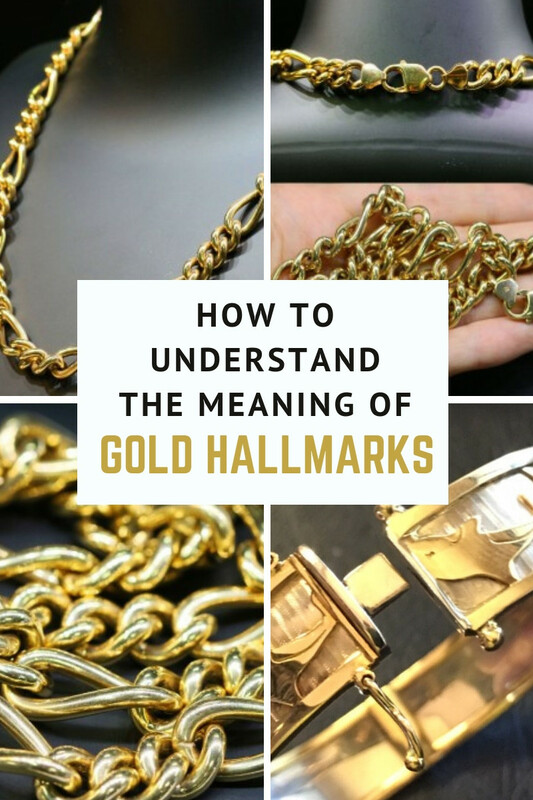 This is a simple and informative guide for understanding gold hallmarks, how to identify them and the methods used for testing the purity of gold. Gold is measured in caratage or ‘kt’. When buying gold jewelry you may purchase 24kt, 18kt, 14kt or 10kt gold in the USA. Other countries also allow 9 & 7 kt gold to be sold. The purest of gold is 24 kt. When you add other metal alloys such as copper, silver or palladium the hardness of the gold is increased. So the 24kt gold will be softest and then 10kt the strongest due to the other metal added to the gold. Originally, the gold marks were impressed by a union of goldsmiths. These goldsmiths are the individuals who examine or check the purity of the gold product, and they are the people that mark the gold in their guild hall. By this process, the name “hallmark” was originated. Nowadays, these hallmarks are managed by assay offices. From these assay offices gold products are examined for their purity through several tests. There are two main methods for testing the purity of gold. 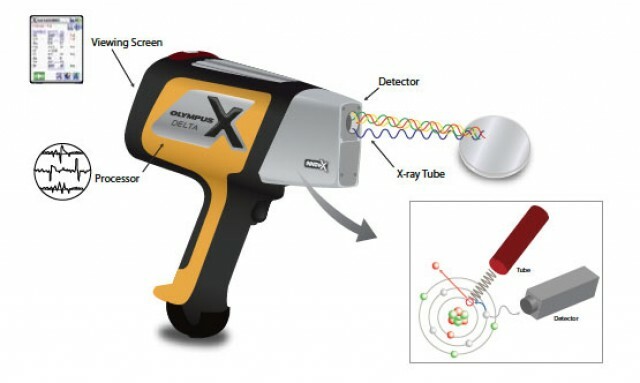 The Touchstone Gold Test and XRAY Fluorescence. This method involves scratching some of the gold along a touch stone and the using different strength acids to determine the purity. Strike the unknown Gold down the touchstone to leave a thin layer of Gold on the stone. Use the acid that has the strength to dissolve the 14kt Gold and wipe it across the Gold lines. If the unknown Gold is stronger than the acid it will not dissolve. Continue using stronger acid solutions until the Gold is dissolved. This technique is the fastest way in identifying the fineness of such gold item. It is also useful with accuracy between 2 to 5 portions per parts. This not only evaluates the transparency of gold it could also verify the amount of the added impurities. For an accurate extent of the pureness of the gold parts for every item, a destructive method is needed. The most accepted method used in identifying the pureness of gold is called “Cupellation”, or “Fire assay”. This approach requires the dissolving of the golden item. The metals utilized in the gold alloy is divided and measured. This technique is the considered as a perfect one. Since Fire Assay is not a helpful method and all gold products produced, it must be evaluated. The standard practice includes all three evaluating methods to be employed. While choosing a small number of items to undergo such process like cupellation, the other will undertake the touchstone technique either or the x-ray fluorescence system, or sometimes both. With these techniques used in identifying the excellence or transparency of gold in alloys, then you can be guaranteed on what you seize or own meets up the claim of the producers of that item. However, gold hallmarks indicate that your gold piece qualifies the international standards for gold distinction. It also indicates the excellence of your golden item in such a way. Additionally, manufacturers certified that their claim for the transparency of gold employed for each item is certainly true. Pure gold is usually too elastic to be used for anything. For any reason, other metals are combined to gold and produce gold alloys to be employed as unrefined material for creating gold crafts. The dilemma with this is that if metal is added to gold, then the cash value of gold will go down. What are the various marks of gold? Most of the time, gold can be marked in several ways. 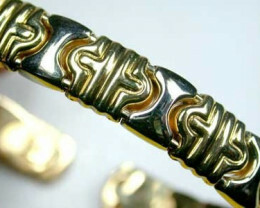 Gold jewelry is often pounded with specific marks that offer information on its fineness. These marks assist the consumer to find out the value and genuineness of every piece of jewelry. Most jewelry has at least one mark specifying the content of the gold. 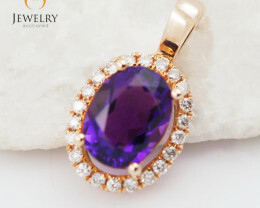 Therefore, all consumers who want to purchase jewelry should better check the marks. 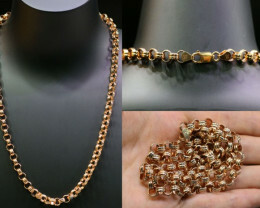 The term “karat” implies to the amount of gold in a particular item. 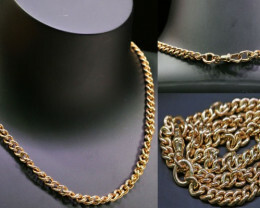 Gold jewelry can vary from 24 Karat to 10 Karat Gold. In fact, 24 Karat Gold is considered 100 % pure gold, while 10 Karat is 41.6% pure gold. A piece of jewelry marked 18 Karat means that it is 75% fine gold. In fact, 24 Karat Gold is 100%; it is essentially not the most attractive mark in jewelry, because pure gold is too elastic. In order to increase the toughness and hardness of such gold, it needs to be combined with other precious metals like nickel, copper, zinc, palladium, and silver. Moreover, Gold is the most impressionable and long-lasting among all metals. It does not discolor. 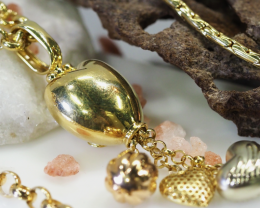 Pure Gold is almost protected from the effects of oxygen, air, and water. Each country has a diverse series of the system especially in hallmarking gold. In U.S., the transparency of gold is specified by karat. Pure gold has 24 Karat, but it is rarely used to create jewelry because pure gold will not seize gemstones and twists too easily. Metals such as nickel, zinc, copper, and silver are used with gold just to enhance its potency and permanence. Metal preservatives will also verify the karat and color of the gold. However, it is not suitable to calculate the transparency of the gold employed in jewelry. Traditional or classic jewelry exclusively based on a gold hallmark. Several pieces of jewelry were never hallmarked, and some of them have been damaged with wear and use. Most of the time, gold marks were wrong. There are various factors that determine the color of the gold. One is the alloy used to combine with gold, while the other is the amount of the used alloys. It is the natural color of gold. Pure gold combined with copper and silver, which can hold the bright color of the gold. Fine gold combined with copper, nickel and zinc. Fine gold is combined with a big percentage of silver, together with the nickel and zinc to achieve the white color. In order to catch a white color sometimes jewelries have been plated with rhodium. In the year 1920-1930, white gold is considered to be an attractive color over the platinum jewelry. Most of the traditional engagement jewelries of that era were made in 14 Karat, or 18 Karat (white gold). Pure Gold combined with a big percentage of copper together with zinc and silver in order to achieve the rose color. Most of the jewelries that are made up of with a rose gold were made regularly in the “The Contemporary Jewelry Period.” This era gain popularity across the world. Deep green is formed by means of combination of together with the fine copper, zinc, and silver. 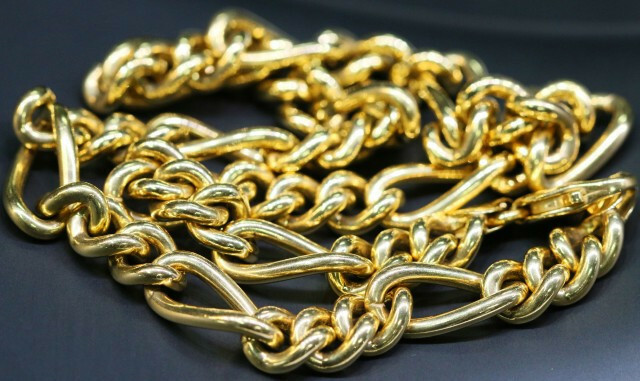 Green gold is typically made up of three different colors may also a sign that each jewelry piece may also be a part of “Age of Modern Jewelry”. This color was formed through a combination of fine gold together with a large portion of copper. 9k gold is 37.5% and stamped hallmark 9K or 375. Hallmark stamped k or kt is same. Sometimes there is not much room to leave hallmark so k is more often used. Gold, Beautiful gold we all love the color, the sparkle and design of a nice piece of gold jewelry. The market today has driven up the prices of Gold beyond believe, but there are still places to find a great deal when it comes to Gold. If your reading this article then your on a web-site that offers wholesale prices. The Gold Jewelry you desire is still within your reach, just take time to look at this site and the sister company sites involved. Today the market is flowing with the precious metal of Gold, no matter what era you look at gold has been worn by all types of people from Kings and Queens to a baker placing gold leafing on a cake to a Mother who stays at home with her loved children, We all love gold. Gold is used for a variety of things for example it is used for Monetary Exchange, Investments, Jewelry, Science, Industry, Medicine to Food and Drink. Are you buying a necklace? You may not have to worry about caratage(karatage) of the gold when buying a necklace or earrings but when buying a ring that is a totally different story,,, you may plan on wearing that ring every day of your life but consider the use of our hands, we place pressure on our hands constantly which could bend a ring so your choice of a stronger gold with a lower caratage my be best. A bracelet is also something you should look at and decide how much you will wear it, if the item is to be worn periodically pick a gold with a higher caratage such as 22 - 18 kt. If you will be wearing your jewelry daily choose 14-10 kt gold. So we have looked at caratage purity and now need to be able to recognize the caratage stamp you will see on your jewelry which will be ‘kt’. 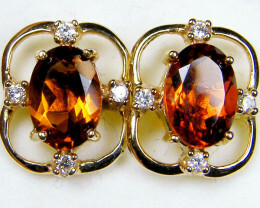 For example 14kt. We discussed wear and tear on jewelry and the need for a lower gold content on rings or jewelry worn every day. Your own personal preference will be a deciding factor with your purchase. There are many colors of gold in the market today, the main three colors you will see in a retail store setting or when buying from a wholesale vendor is Yellow, Rose and White gold. Gold color depends on other alloy ‘metals’ mixed into the actual gold. 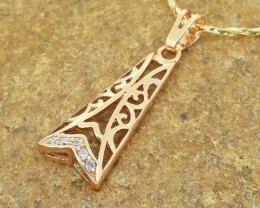 Rose gold or also called pink or red gold appears this color due to the higher content of copper in the gold. A Russian favourite and in these days of variety Americans tend to love Rose gold also. White gold appears as a silver color due to other metal alloy being added also, that may be palladium this type of gold is often more hard or a stronger gold and is very good for rings or pins. Yellow gold is one of the most attractive to many buyers and bought more than any other color, yellow gold comes in a variety of colors. When your looking at buying 24 - 22 kt gold the color may appear a orange - yellow color, This is a rich color many have never seen since most jewelry in the retail stores will be offered in 14-10 kt gold. Gold, Beautiful gold we all love the color, the sparkle and design of a nice piece of gold jewelry. The market today has driven up the prices of Gold beyond believe, but there are still places to find a great deal when it comes to Gold. If your reading this article then your on a web-site that offers wholesale prices. The Gold Jewelry you desire is still within your reach. Also check if silver is with a gold plating. This jewelry should be hallmarked so always important to check hallmark stamps as GP & 925 SS. Ask questions of your vendor if you don not see all information provided before you bid on a item. 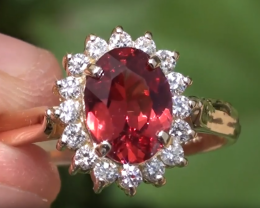 You should be able to read the description provided by your seller / vendor on one of these site, they will tell you the caratage ‘kt’ content, possibly the weight of the gold, the size if applicable, and any gemstones already set in the Gold. The cost of Gold is still rising today, at a all time high, All the vendors on the site your visiting now offer wholesale prices but what you don’t know is many of them have not raised their prices for 1 - 4 or even more years!! So you are very likely to get a piece of gold jewelry at a Old Gold Price and not even know it. The local stores in our towns offer low grade gemstones set in Inflated gold castings! Many with retail price increases of up to 1000% percent more than the wholesale cost. Do the math, investigate, you can afford the Gold jewelry you want when you buy from the right store. AND DIVIDED BY 20 EQUALS THE PRICE PER PENNYWEIGHT. EXAMPLE: 9K DIVIDED BY 24 EQUALS .375 . Production fee for average small gold chain is $2.20 per gram at todays price 20-10-2010 9k chain would cost $17.72 per gram. 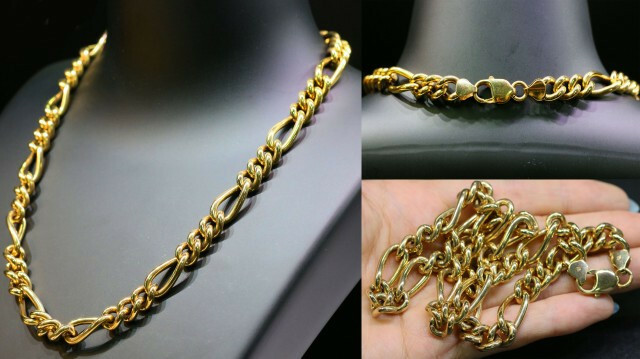 Production fee for average small gold chain is $2.20 per gram at todays price 20-10-2010 18k chain would cost $33.25 per gram.